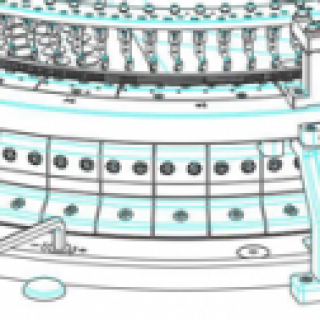 Double Jersey Computerized Jacquard Knitting Machine – UNIX Stitch Machines Pvt. Ltd.
High speed universal double jersey jacquard knitting machine is our main product sold well all over the country. It has an excellent capability and high output. The strict high-precision structure ensures quality of the fabrics. For many years, clients favour the product. The machine has up two tracks and down four tracks cams and the knitting part adopts CNC technology, which guarantees the precision of cams. The cylinder made of special Japanese alloy steel has the advantages of frictional and high temperatures resistance. It is very good for producing high-quality products. We also adopt Franke antifriction bearings from Germany to collocate our uniquely synchronized, high precision, up-and-down gear to show the characters of high speed and steady. For power, we adopt imported frequency inverter and panel system, which makes it easy to show the characters of high speed and steady, and to cooperate. 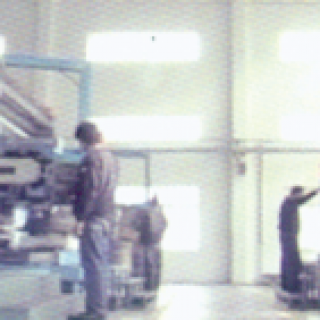 By arranging the cam, it can produce various products, such as little jacquard fabric, blister cloth, interlining fabric, and interlock knitting fabric and so on. With installation of Lycra feeder attachment, it can even make more different fabrics like elastic fabric, high-classic fashionable fabrics for women and men. Superior cast iron strengthen the foundation of our machines. More than one year OPEN-AIR treatment will eliminate internal stress of the material itself and further stabilize the machine. Oil-bath system prevents main gear from rusting and further smoothes the gear rotation. Sixteen pieces anti-friction washer plays vital role of the machine transmission. High quality thermal treatment and special shape design prevents main gear from constant wear & tear. 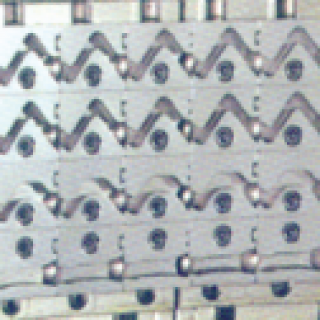 Above designs are indispensable to a stable and durable machine. The sinker ring consist of adjusting ring and a fixed ring. While adjusting the timing, simply turn the adjusting ring. 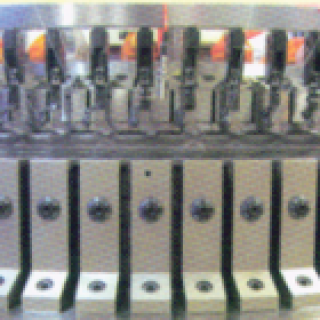 Quick setup of the stitch density facilitate the adjustment and a more efficient production. 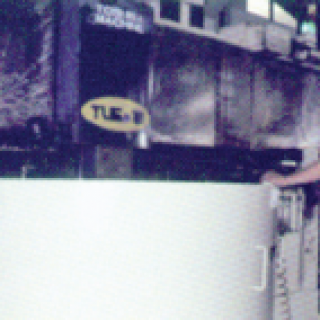 The hardness and the durability of cam box will not change. The transmission of the machine design in two sets driving shafts. The main driving shaft connects the motor and main gear. The other main yarn driving shaft connects the upper transmission and bed. 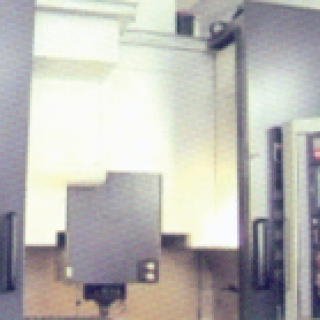 Synchronization of the two driving shafts enable the machine to runs high speed. High quality cloth winder facilitate the adjustment of the speed and fabrics tension. Additionally, prolong the needle life time and make uniform quality. Options of Memminger, Uniwave or Taiwan lubricator for customer’s choice. It sufficiently lubricate the needle, sinker, cam, and cylinder. Environmental concern of the excess oil spray can be effectively reduce by our selection of oiler. 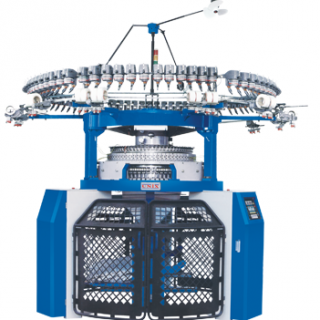 Equiped with high quality positive feeder to make sure the yarn tension evenly supplies for fabrics production. Options of Memminger and Taiwan positive feeders for customer choice. Japanese inverter protects the machine during high speed rotation, stop control, and actively controlling electrical setup. Extra large frame stabilize the machine and keeps the least friction during high speed operation. 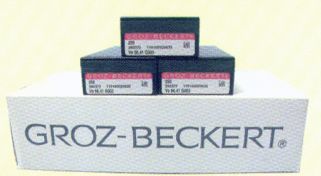 All our machines are equipped with German GROZ-BECEKERT Knitting needles to ensure the high quality of fabrics. Spiral shape scale ring is able to precisely position the cam. All the cams are made with CNC on Japan and Sweden imported material ensure the perfection of needle guidance for high speed needle movement.